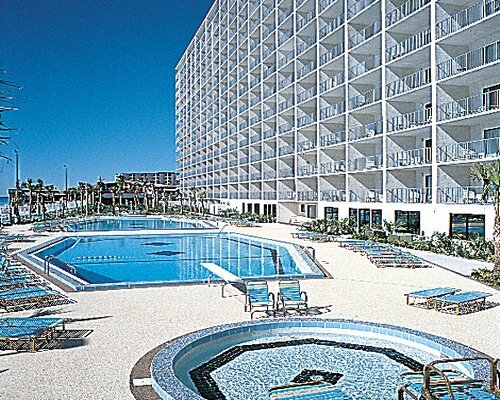 The Summits in Panama City Beach, Florida offers you the best of the Gulf, with 600 feet of white sand hugging a high-rise resort full of amenities. 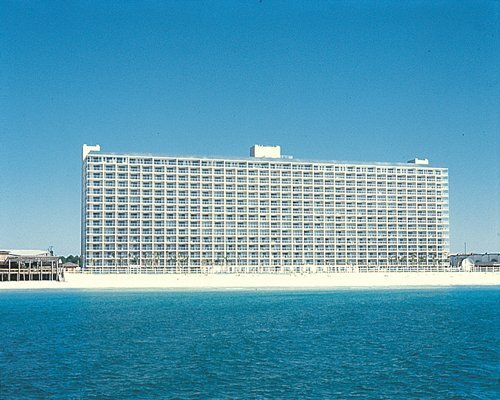 From the pools and spa (two adult pools, one heated, a children's pool and a hot tub), to the exercise room, arcade, and outdoor area for barbecues, picnics and shuffleboard, and a comprehensive activities schedule for folks of all ages, you could call this resort your beach vacation and never have to stray far to have a good time. Renovated in 2004, The Summit has 32 units, primarily 1-bedroom 1-½ bath units, and a single 2-bedroom, 2-bath unit. All units have a king-size bed and queen sofa sleeper. Additional sleeping accommodations may include a bunk bed in the alcove or twin beds in the second bedroom, a full kitchen with dishwasher, a washer/dryer, cable television, and a balcony to enjoy the beach views. The Panama City airport is 12 miles away. From the airport, follow Highway 390 to 23rd Street or Highway 98 west, cross Hathaway Bridge, then take Alternate 98 to the 5th traffic light (Joan Avenue) and turn left. At the second traffic light (Thomas Drive), turn right and proceed one block to the resort, which will be on the left-hand side.